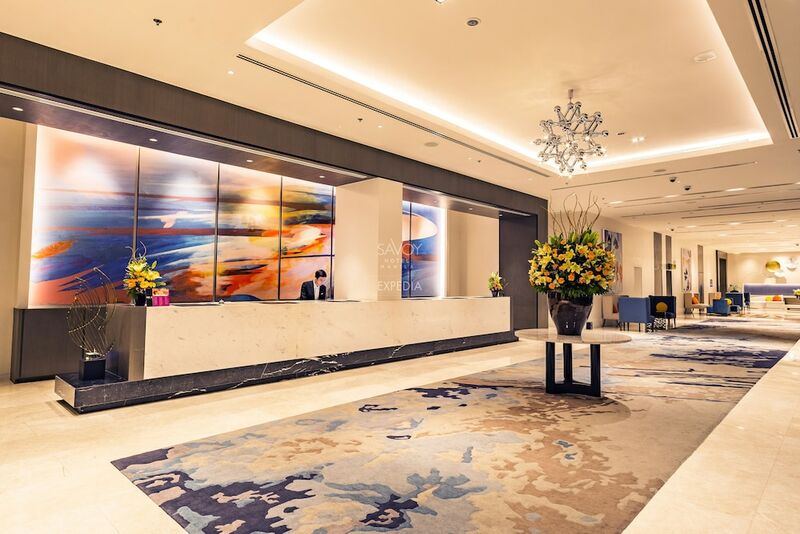 Situated in Pasay, this hotel is within 3 miles (5 km) of Resorts World Manila, Fort Bonifacio and City of Dreams Manila. Venice Grand Canal Mall is 2.8 mi (4.5 km) away. Manila Nichols Station is 16 minutes by foot. An outdoor pool, a fitness centre and a poolside bar are available at this hotel. Free WiFi in public areas, free self parking and a free area shuttle are also provided. Other amenities include a coffee shop/café, a sauna and valet parking. All 684 rooms feature thoughtful touches such as bathrobes and slippers, along with conveniences such as fridges and coffee makers. Complimentary wireless Internet access and minibars are standard, as are flat-screen TVs with cable channels. In addition to an outdoor pool, Savoy Hotel Manila provides a sauna and a fitness centre. The hotel offers a coffee shop/café. A poolside bar is on site where guests can unwind with a drink. Wireless Internet access is complimentary. This business-friendly hotel also offers spa services, tour or ticket assistance and concierge services. For a surcharge, a round-trip airport shuttle (available 24 hours) is offered to guests. Complimentary self-parking is available on-site. Savoy Hotel Manila has designated areas for smoking. Savoy Cafe – This restaurant specialises in local and international cuisine and serves breakfast, lunch and dinner. Open daily. Harvey's Bar – This bar specialises in local and international cuisine and only serves light fare. Open daily. Start your morning with a buffet breakfast, available each day from 6:00 AM to 10:00 AM for a surcharge. You can order up room service during limited hours.